Components and accessories are interchangeable with most major brands. Jaken wire shelving components can be purchased separately to design your own unit, add on to existing units, or replace lost or damaged pieces. 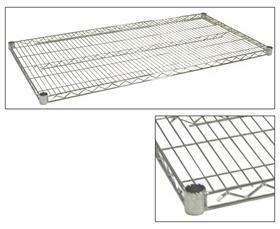 Wire shelving is chrome plated and certified by NSF International. FOB Shipping Point. 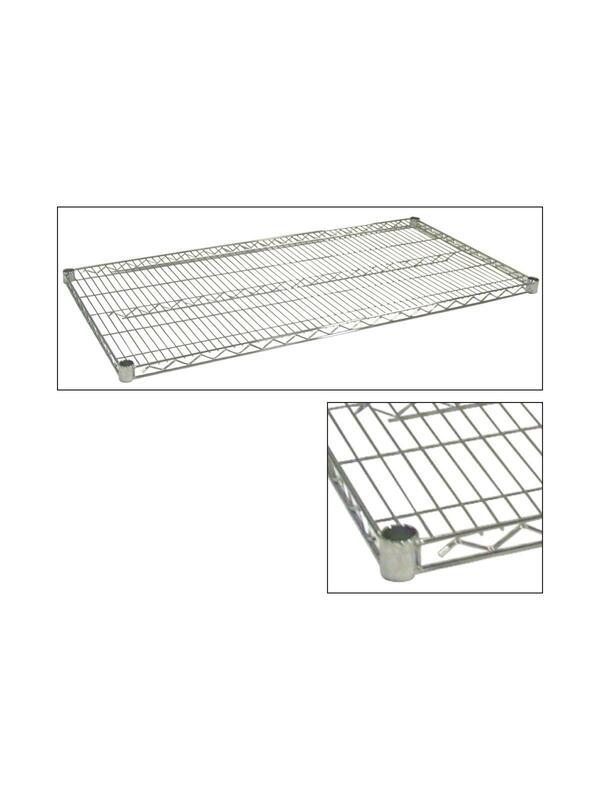 See Related Items tab for Jaken Chrome Posts and Stationary Chrome Wire Shelving. D x W 18 x 36" 18 x 48" 18 x 60" 18 x 72" 24 x 36" 24 x 48" 24 x 60" 24 x 72" 36 x 48" 36 x 60" 36 x 72"